Viburnums are large deciduous shrubs that flower in the spring, produce berries in the summer and display beautiful fall foliage. The ever changing aspect of the Viburnum is what makes these plants so popular. 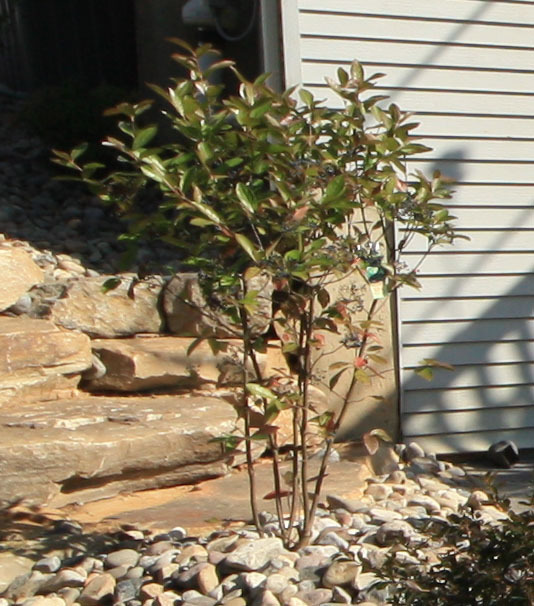 Viburnums are a low maintenance and can be used as either a hedge or a specimen plant. They do best in partial to full sun and in well-drained soil. The spring flowers are mostly white with some varieties displaying colors of pinks and light red. After the flowers are spent, beautiful ornamental berries, either red or dark blue and black fill the viburnum through late summer through winter. Beautiful scarlet red and plum like colors fill the viburnum through fall. The combination of the berries and leaves put together a fall color display like no other plant. Arrowwood, viburnum ‘dentatum’: White flowers, blue/black berry, with yellow to orange/reddish fall color, Gets 6-10’ tall and wide. Stay more compact than most other cultivars. Snowball, viburnum opulus ‘Roseum’: Known for its large, showy white flowers that may turn pinkish. Red berries, reddish/purplish fall colors. Gets 8-12’ feet tall and wide. Doublefile, Viburnum plicatum tomentosum ‘Mariesii’: Known for its white, lacecap flower clusters and horizontal tiered growth habit. Produce red berries. Gets 6-8’ tall, 8-10’ wide. 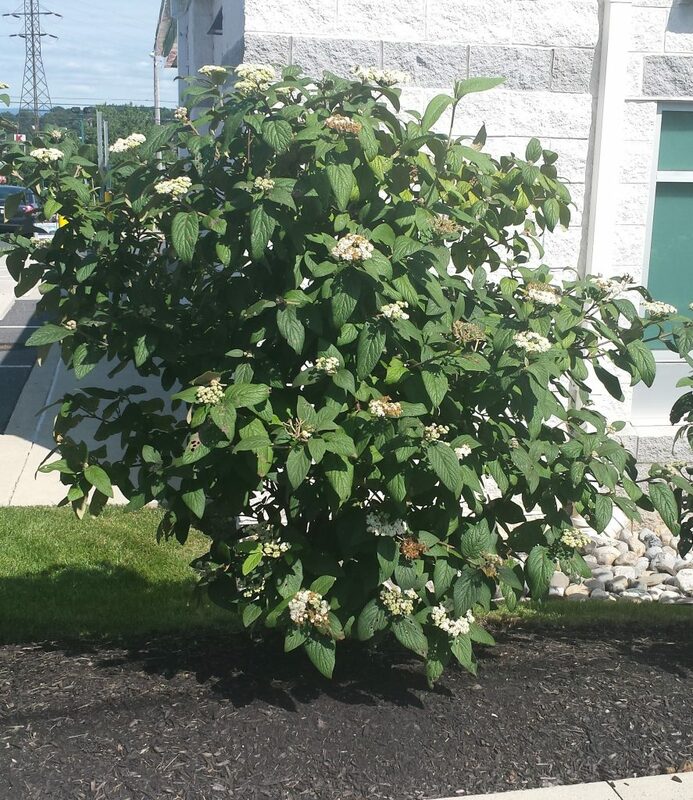 Burkwood, viburnum x burkwoodii: Produce white pinkish clusters of flowers, red berries that turn black. Gets 6-7’ wide 8-10’ tall. Leatherleaf, Viburnum rhytidophyllum: Produce spring white flowers with a red to black berry in fall. The leaves are long and leathery looking. Gets about 10-15’ high and wide.